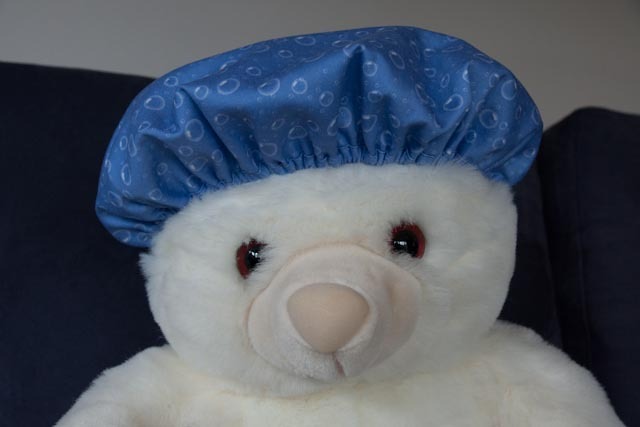 These are the instructions on how to make my Cut & Sew Shower Caps, available at Spoonflower here. 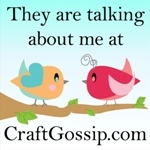 Cut the shower cap circle from the fabric panel. Cut the matching bias strips and put to one side. 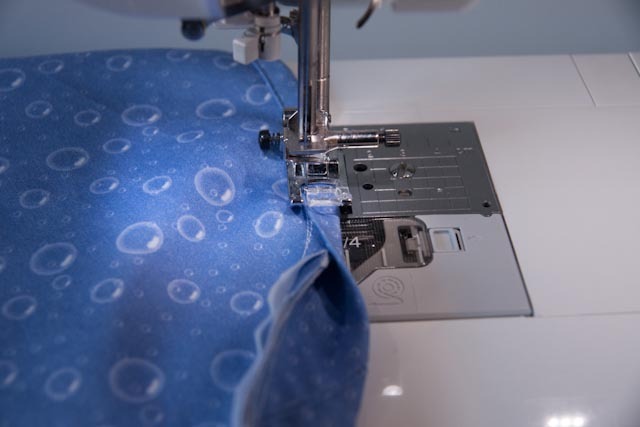 Using the circle of fabric as a template, cut a matching piece from your waterproof fabric. 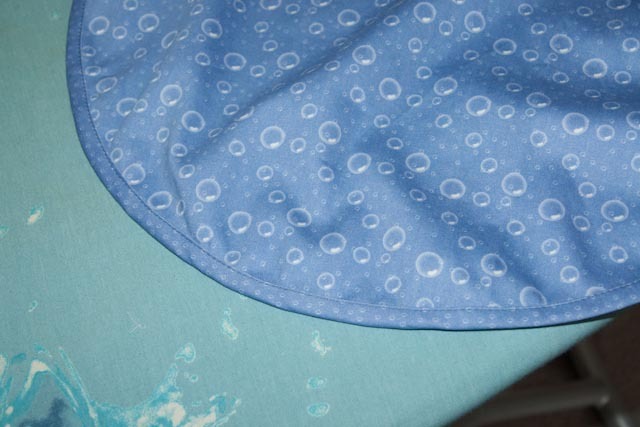 Place the waterproof fabric on the wrong side of the cap fabric and pin. 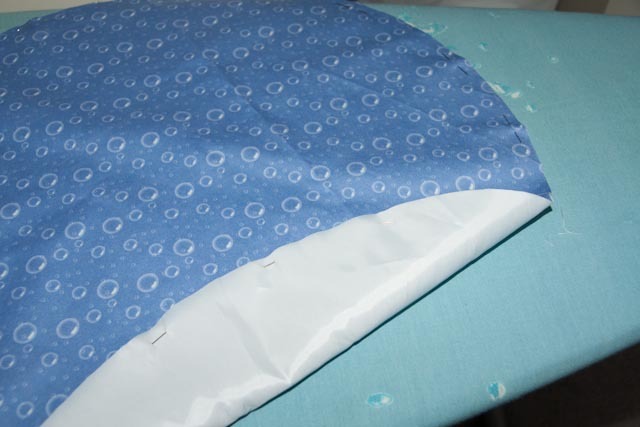 We are going to use the bias binding provided as a casing for the elastic. First, we need to join the two binding pieces into one long strip. If you have a favourite method for doing this - go ahead and use it. If not, cut the start of one piece, and the end of the other piece at right angles, so they are squared. Place perpendicular to each other as shown in the picture. Rule a 45 degree line. 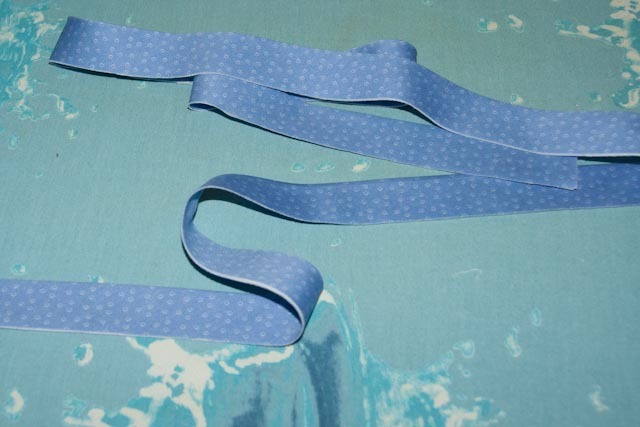 Sew both pieces of the binding strip together along the line. 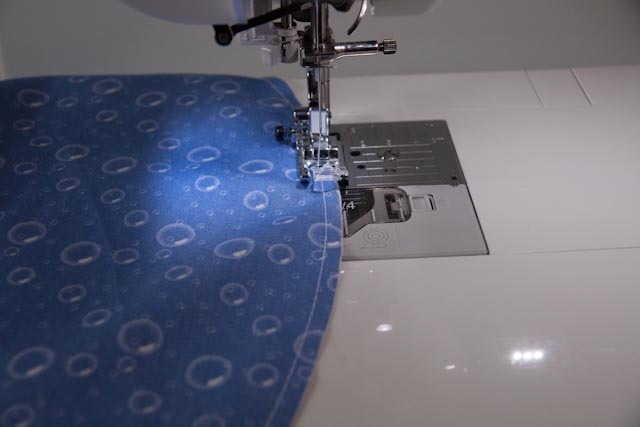 Trim the seam allowance to 1/4 inch and press the seam open. Fold it in half, wrong sides together, and iron well. You now have your completed bias binding - ready to attach. 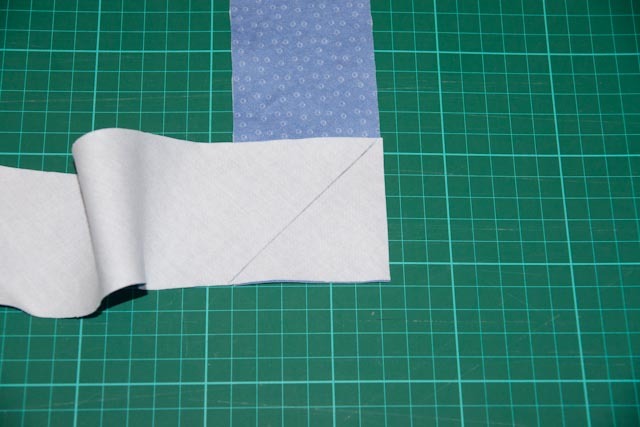 Open one end of the binding, and fold in 1/2 inch, then fold back up again. 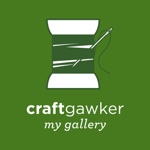 This will just neaten your binding edge. 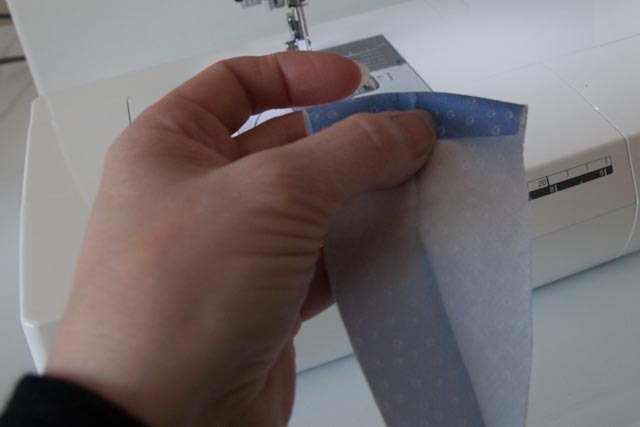 With the waterproof side of your fabric facing up - pin the raw edge of the binding strip to the raw edge of the circle, starting with the folded in end. Continue all the way around. When you get to the end - allow an inch extra and cut off. 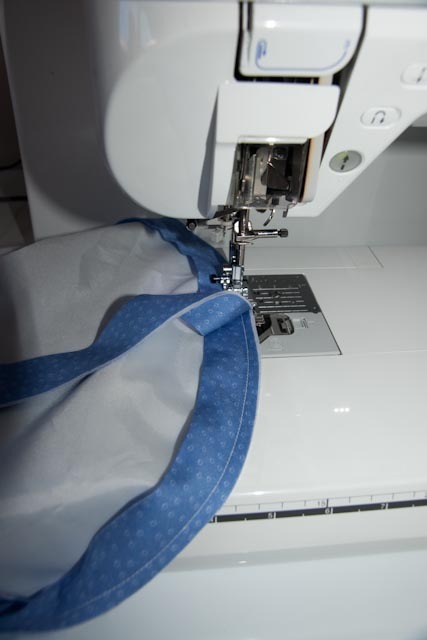 If you are an expert at bias binding - you don't need to pin...but if you are new to it, it will help you. Sew 1/4 inch seam all around the circumference to attach the binding. Make sure you overlap the ends by at least 1/2 inch. 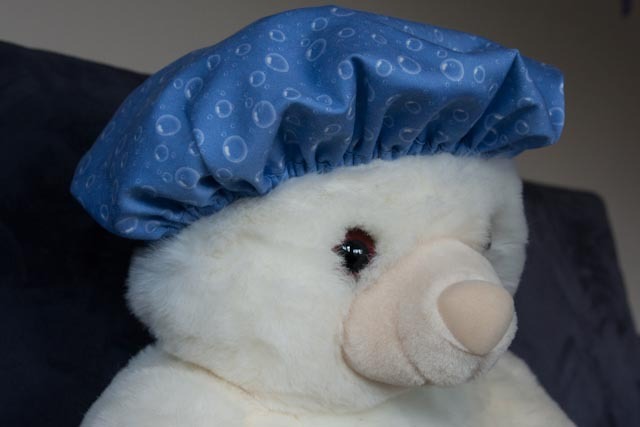 Fold the binding around to the front of the cap, and pin again. 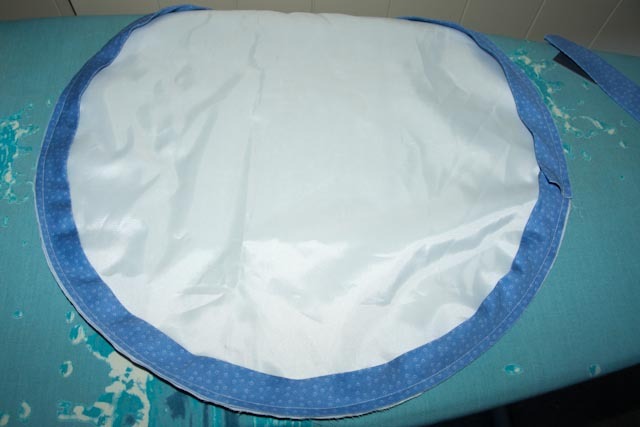 It should cover your stitching lines from attaching the binding to the back. 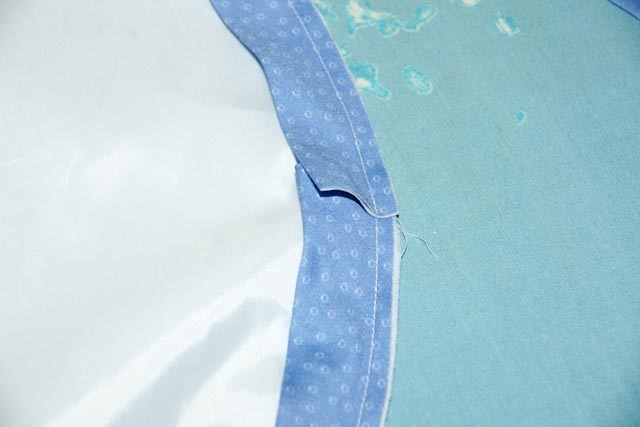 Topstitch close to the folded edge to secure the binding to the front. Measure your head circumference and add a couple of inches. Cut this amount of elastic as an approximate measure. Turn the cap so the back is facing you. 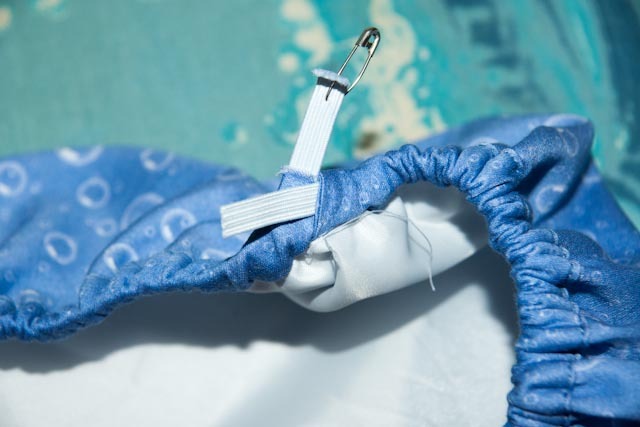 Place a safety pin on each end, then thread the elastic through the back of the casing via the opening created by your fold. Push it all the way around. When you get to the end, manoeuvre the safety pin out of the casing. Pin the two ends together and try your cap on. 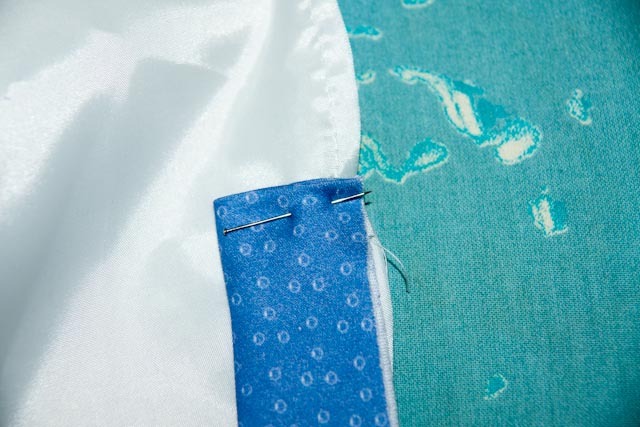 Adjust the fit of the elastic till comfortable, trim it - leaving at least 1/2 inch on each end to overlap. Zigzag the ends together. Push back into your casing, and tuck the end in. 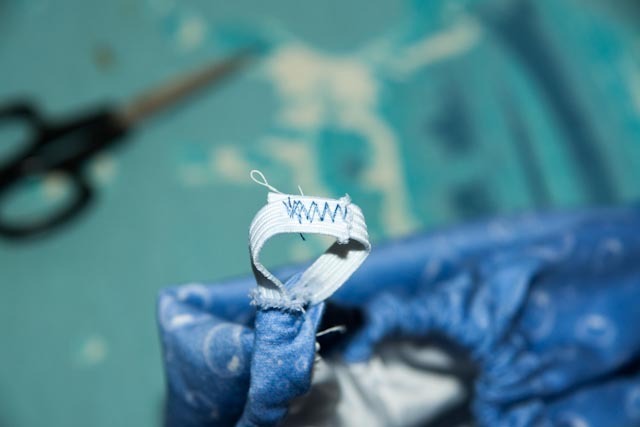 Stretch the cap in and out a few times to evenly spread the elastic. 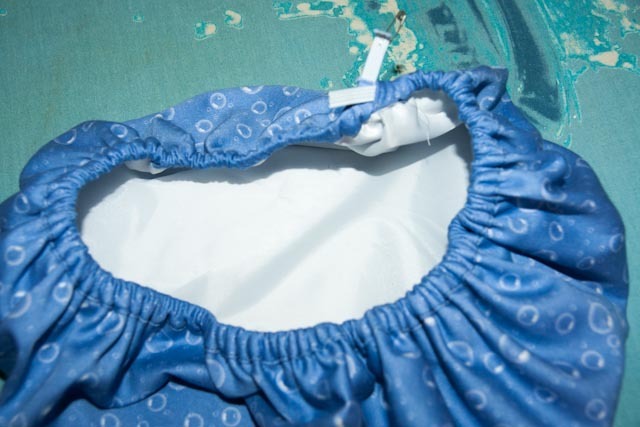 If you want to - you can hand sew the casing opening shut - but it is not necessary.